In nature, if an animal does not adapt, it becomes extinct. As technology and consumer behaviors continue to evolve in the marketing industry, brands are challenged to adapt to survive. Brands must innovate to better tell their brand story or reform their entire look and feel, or product to become more relevant to modern day consumers. Legacy brands have endured for so long because they have remained relevant. The pressures on “historical” brands are mighty and some brands do not prevail. Brands fear that as they evolve, they will lose their distinct self or what people first came to love about the brand. If a brand starts veering from its brand voice/message, then consumers will become skeptical of its authenticity. Brands must walk the line between maintaining a solid connection and relationship with loyal followers while appealing to new consumer tastes. Brands must be weary of losing what they stand for, but, in order to grow and innovate, they must take risks to avoid getting left behind. Being content with the historical appeal will ensure that new consumers will not be drawn in. As brands age, so do their initial consumer base. The consumer has the power and brands must listen. Consumer preferences should drive campaign strategies, marketing messages, and product developments. Instead of worshiping what used to work in the “good ol' days,” care must be paid to who has purchasing power now. As new generations emerge (Millennial and Generation Z) brands must adapt to changing tastes. Keeping an eye on consumer data and trends, Lego took advantage of the hype around the Star Wars and Harry Potter franchises by cutting licensing deals. Attaching the brand to proven winners helped Lego stay relevant in the mind of the consumer and surpass other toy brands like Mattel. Meeting the consumer where they are keeps brands relevant. The emergence of mobile as the “first screen” has caused some brands to scramble to stay relevant. Having a consistent presence across channels and an efficient omni-channel marketing strategy will keep the brand on the forefront of the consumer’s mind. Brands must pay attention to changing tastes/habits to deliver to expectations. The baby food company, Beech-Nut discovered that mothers made homemade food for their babies because they wanted to know the exact ingredients, so they simplified their ingredients and marketed how the product saves mothers the time/effort while delivering quality food for babies. IHOP, a brand founded in 1958 was coasting alongside other dine-in restaurants. 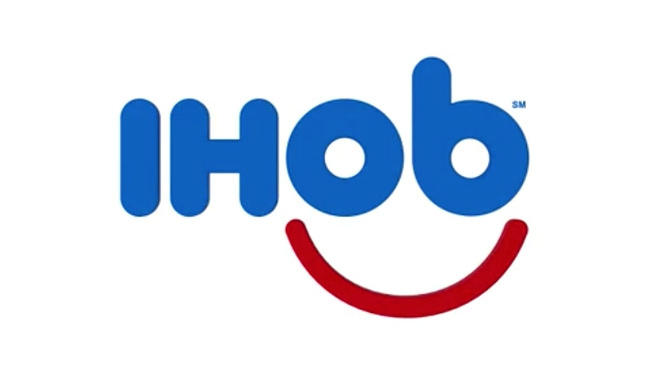 Nothing in particular stood out about the brand with some consumers admitting not knowing that the name “IHOP” stood for the “International House of Pancakes.” IHOP scored a public relations coup while highlighting that it is not just a breakfast chain by “changing its name to “IHOB” or International House of Burgers. The temporary name change resulted in an increase in IHOP’s word-of-mouth stats from 19% to 30%. 1. Highlighted that IHOP was more than a breakfast place. 2. Increased chatter/awareness for a 60+ year-old chain that was an afterthought for most consumers. The President of IHOP, Darren Rebelez, claimed that burger sales increased at individual restaurants and, regardless of some mockery, the brand name took over the internet. IHOP successfully made its brand relevant to a new generation of consumers and became the “talk of the town” across social media and traditional media channels. It will remain to be seen if the brand can build on the temporary boost with sustained growth. As least the brand is “on the map” where it was formerly an afterthought.